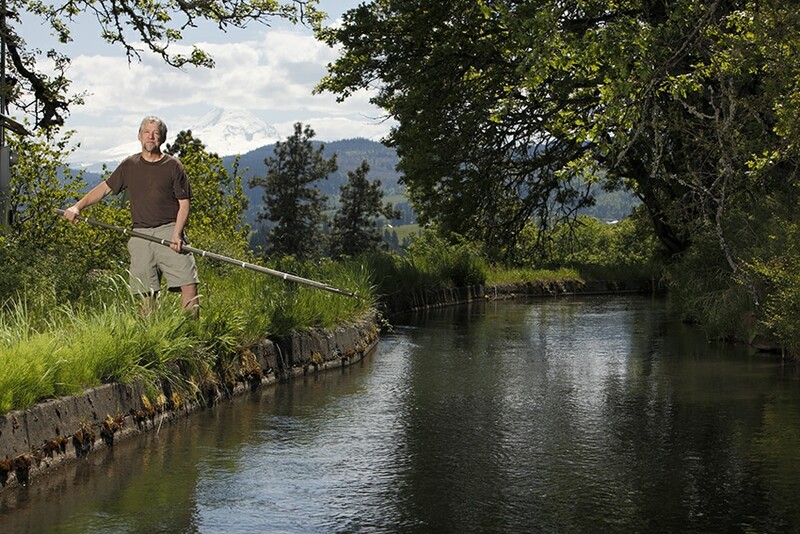 Oregon has significant small hydropower resources—but they might not be where you expect. Irrigation hydropower: Irrigation canals can be replaced with pipes, which creates pressure that can power a turbine and generate renewable electricity. These improvements can also save energy for farmers and conserve water for rivers and wildlife. Municipal hydropower: Cities and other water providers can replace pressure reduction valves with hydropower turbines to regulate pressure and generate revenue. Existing dams: Only three percent of dams in the U.S. generate electricity. Adding hydropower can leverage environmental benefits for fish and water. Natural streams: Though rare, hydropower systems can be added to some natural streams while maintaining the natural environment. If you have a hydropower resource and are interested in using it to generate electricity, contact Lily Xu at 503.205.0975. Not sure if you have enough head (pressure) and flow (moving water) to generate hydropower? Unsure what those terms mean? Take a few minutes to learn how hydropower systems work to harness the energy in moving water. This Intro to Hydropower (© 2008 Home Power Inc.) article includes explanations of the terminology and system components involved in hydropower and gives simple techniques for estimating the capacity of hydrological resources, particularly streams. There are different state and federal permitting requirement for hydropower depending on a project’s size and location. For first-time developers, the permitting and utility interconnection processes can seem especially daunting. As described on the Details tab, Energy Trust offers Project Development Assistance incentives to encourage developers to engage permitting professionals to speed up the development process. Learn about the federal permitting requirements for your project here. The guidebooks below have been written for both new and experienced developers and are intended to serve as a roadmap to Oregon’s permitting requirements and the utility interconnection process. We’re here to explain the process and benefits. Contact Lily Xu at 503.205.0975.